Bottle water/bottled water is drinking water stored in a bottle. These bottles are usually one time use plastic bottles and come in various sizes from smaller ones for carrying to larger one for water cooler use. The water can be collected from a variety of sources like springs, aquifers, or municipal supplies and the water may be treated to make it suitable for consumption. Bottled labeled as spring or mineral water, are not directly collected from community water supply source. This water may be collected from natural spring or underground sources and are treated with some form of disinfectant like ozone to kill bacteria. Mineral water is rich with dissolved mineral salts. Sometimes carbon dioxide is added to them for carbonation and fluoride for the prevention of dental decays. Other bottled water that is not labeled as spring or mineral water, may be from any source including community water supply source. 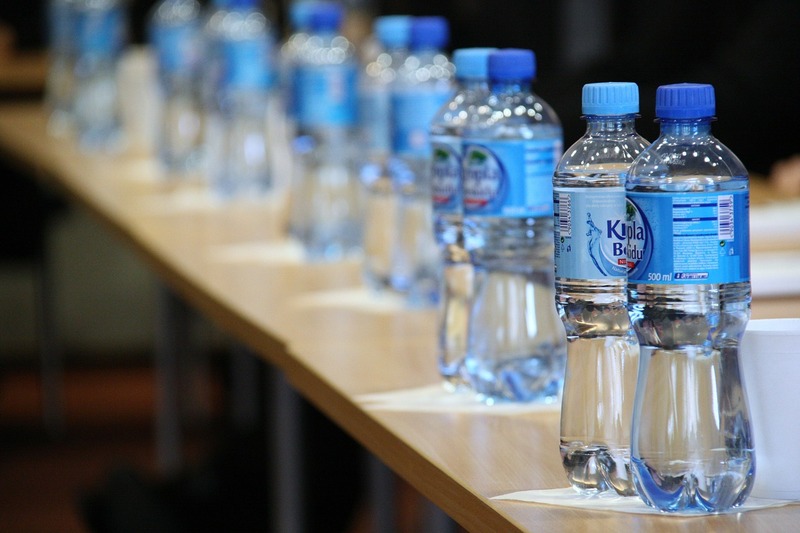 Although bottled water is usually disinfected to kill disease-causing microorganisms, there are still bacteria present in most bottle waters as they are not intended to be fully sterilized. So, bottle water can still cause illness if the water is from a contaminated source and did not receive adequate treatments. Bottled water should be stored in a clean, cool and dry environment and out of direct sunlight. Once water bottles have been opened, the leftover should be refrigerated. Use bottled water that are made of polyethylene terephthalate (PET or PETE) or polyethylene (PE), which does not contain Bisphenol A. It is not recommended to refill old single-use bottles, because the reuse poses a potential microbiological risk if not cleaned properly. Also, there have been claims that polyethylene terephthalate (PET or PETE) plastic used in single use water bottles breaks down when used repeatedly releasing cancer-causing chemicals. It is not hygienic to share water bottles. The top/mouth of the bottle should be cleaned before poring/drinking from them. Water cooler that use bottled water should be cleaned regularly. Although all the plastic bottles are recyclable, they take 100s of year to decompose. 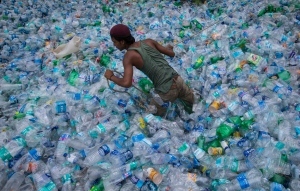 Usually all the plastic bottles are shipped to developing countries for recycling, destroying and dumping; causing a huge amount of greenhouse gas release associated with transportation and incineration. Also, it takes a considerable amount of fossil fuel for plastic bottle production. Some sources reported that it exceeds 17 million barrels of oil for plastic bottle production in the US alone. The manufacturing process also release greenhouse gas like carbon dioxide that contribute to climate change and global warming. In addition, for every bottle of water that is produced, the Pacific Institute has estimated that twice as much water is required for the production process. This means for every liter of water sold, three liters of water are used (data source: http://pacinst.org/publication/bottled-water-and-energy-a-fact-sheet/). Also, a considerable energy is required if considering the overall life cycle of a water bottle including the water bottle filling process, transportation, storage, recover, recycle or dumping at the end. So far carrying your own stainless steel water bottle is the best alternative of plastic single-use water bottle. In addition, government of the developing nations should concentrate in improving their water supply infrastructure and quality. While for the developed counties where tap water quality is already good, more water fountain and bottle refill stations should be built to encourage reusable water bottle use.